Office binder 3-ring portfolio. 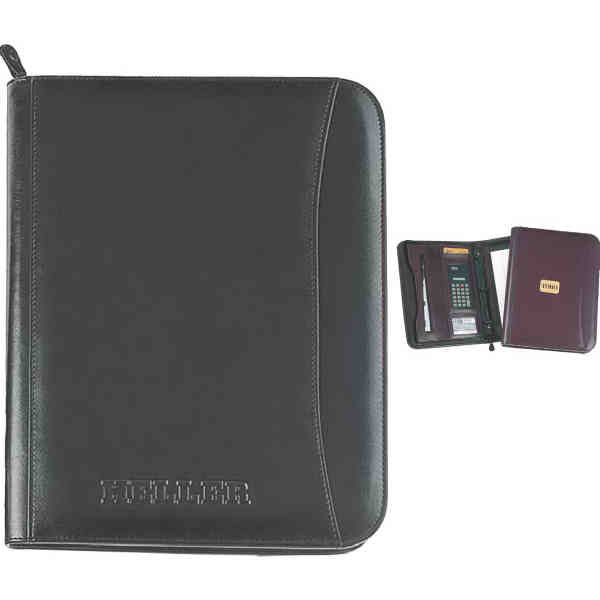 Featuring a 1 1/4" black metal 3-ring binder, this portfolio also includes an interior removable solar calculator, organizer with numerous pockets, 8 1/2" x 11" memo pad, and a pen loop. Made of simulated leather. Size: 10 " x 13 1/2 "
Ship Weight:28 lbs, Orders are normally shipped via Ground service, unless otherwise noted.